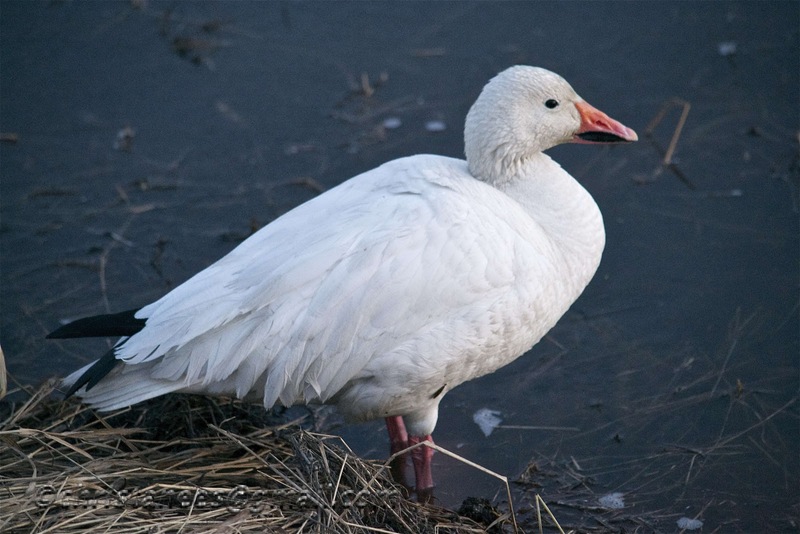 squirrelhaus alaskan photos: The Snow Geese Are Back!!! I saw a V of them fly over me (I thought they were swans - but in hindsight I think they were snow geese). I was driving and I almost wrecked. They are SO amazing! I can't believe you can get a picture so close to one! Beautiful picture! These geese were extremely distracted by food. They had found a little open patch of water out by Potter's Marsh...I kept inching closer and closer while they had their heads underwater. I have been trying to get some photos of them for over a year. I was so excited, I think I took around 200 photos of them.....so beautiful! Have a great day Amanda!! !